This diamond-themed 'Bride' headband offers all the shine and charm needed for a bridal accessory. The 'Bride' lettering lets everyone know who will be walking down the aisle. All eyes will be drawn to the bride in this gorgeous headband. The headband is flexible for comfort all night long as the bride celebrates. Also available in rose gold and silver, there's a shade for every bride. 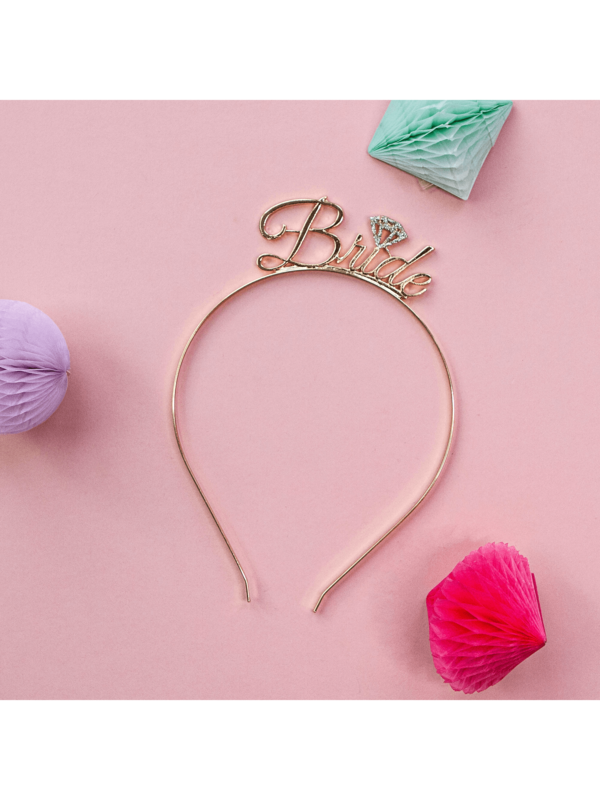 A hen-party must have, this eye-catching tiara headband commands attention for a stand-out bride.